Hey RWYK family! 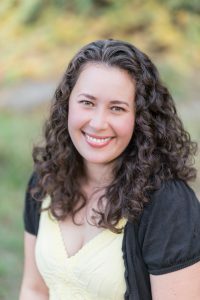 It is our absolute pleasure to introduce another debut author Jennieke Cohen on the Reading with Your Kids Podcast. Jennieke is here with us to celebrate her most recent young adult historical book Dangerous Alliance. 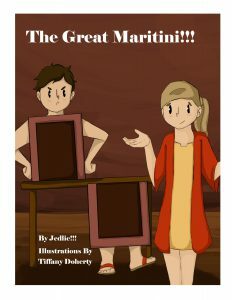 Jennieke’s book was a finalist in Pitch Wars 2016. The book is an historical YA novel based on actual spousal cruelty divorce cases that occurred in Georgian England. We’re super excited to share with you what Jennieke has to say about writing, her book and her publication journey. Listen in as Jennieke shares what inspired her book and learn some interesting facts about her story. Get your cup of coffee ready, and let’s get started! 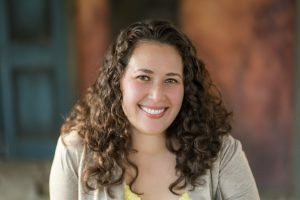 Jennieke Cohen (JEN-ih-kah CO-en) is used to people mispronouncing her name and tries to spare her fictional characters the same problem. Jennieke writes historical fiction for young adults inspired by real people and events because life is often stranger than fiction. She studied English history at Cambridge University and has a master’s degree in professional writing from USC. Jennieke loves exploring new locales but always returns home to Northern California where the summers are hot, the winters are mild, and life is casual. Jennieke has also loved English literature since she was a tween, but she never really appreciated English culture until she went there as a high school exchange student. Since then, She has been going back as often as possible to research different writing projects and various aspects of history (one summer in college she studied English history at Cambridge University), as well as to visit gorgeous gardens and manor homes. She has infused many of those experiences into Dangerous Alliance. What also makes the manuscript unique is that the whole story pivots on the protagonist’s sister getting a divorce from an abusive husband, which was extremely difficult during the early 1800’s but not impossible, and has rarely been dealt with in fiction. This family crisis leads to mystery, adventure, dueling, and finally, romance! Impetuous seventeen-year-old Lady Victoria Aston wants nothing more than to live a pastoral existence on her family estate in Hampshire. But when her sister escapes an abusive husband, the family starts divorce proceedings—a difficult, scandalous process in 1817. As her sister may never win her freedom, Vicky has no choice but to find a husband of her own who will keep her brother-in-law from laying claim to their lands. Amidst the glittering ballrooms of Georgian London’s high society, Vicky must decide whom she can trust, all while wielding courage and a pistol to protect her family from the masked assassins who lurk behind every corner. Tom Sherborne returns to England after four years in Napoleon’s dysfunctional Europe to a title he doesn’t want, an estate deeply in debt, and a fractured family. His only chance to keep his family afloat is to open London’s first luxury hotel. But as strange accidents start befalling his former best friend, Vicky, her suitors drag Tom into an insidious plot that will threaten both their lives and those of everyone they hold dear. As a life-long lover of history and literature, I studied English history at Cambridge University. I also have a master’s in professional writing from the University of Southern California. As a ghostwriter, I have written prescriptive nonfiction published by New World Library. I am a member of SCBWI, a PRO member of Romance Writers of America, and a member of the Jane Austen Society of North America. DANGEROUS ALLIANCE is a dual point of view YA DOWNTON ABBEY with the mysterious intrigue of THE LUXE books and a protofeminist bent. The manuscript was chosen for Pitch Wars 2016 and is complete at 99,000 words. Jennieke speaks about her writing journey — how she found her mentor & her publication success. Listen in as Jed & Jennieke discuss her upcoming project and more… Be sure to tune in & you’ll be amazed! So, there you have it. We’re sure you’ve enjoyed learning about Jennieke’s writing journey from her as much as we did! If you’ve enjoyed this episode then please rate and review our show in iTunes and share it by clicking the social media buttons at the bottom of this page!